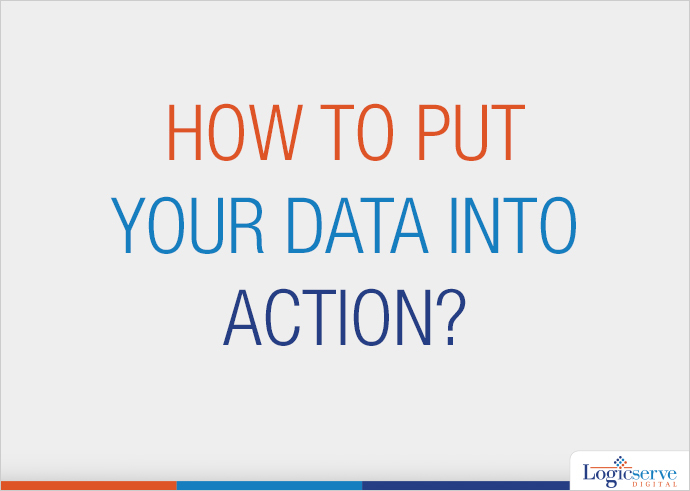 How to Put Your Data into Action? In a data-driven society, data plays a crucial role in digital transformation. We dwell in a multi-device world where data acts as the most important asset for countless marketers. It goes without saying that organizations that count on data to stimulate decision-making, drive superior growth compared to those that do not. In this post, we will discuss how you can make your brand more data-driven for enhancing customer experience and driving competitive advantage. With countless pieces of data hovering around us, it becomes a challenging task for companies to swim in the oceans of data. A lot of data is generated on a daily basis from countless sources such as— screens, channels, mobiles, touchpoints, etc., and the accumulated data is stored in different formats in different places. Thus, the biggest challenge faced by even the high performing organizations is the challenge of integrating the accumulated data. However, data-driven organizations have been successfully dealing with this difficult situation by streamlining the procedure of data collection and integration. By exploring advanced technologies that support your current platform, you too can systematise relevant data, thus transforming information into insights. The method of processing a humongous amount of data makes the procedure of extracting insights quite intimidating for analysts. Despite this, brands leave no stone unturned to discover those virtual bits and bytes of wisdom as it goes a long way in empowering their future business decisions. By leveraging machine learning and other sophisticated tools such as Google Analytics 360 Suite, you can easily discover useful insights for improving the impact of your marketing so as to drive business growth. Analytics solutions can help businesses combine data sources and machine leaning for analysing the digital footprints or data traces created by their customers constantly. Moreover, analytics solutions help accumulate more valuable insights to enhance customer experience, and that too without any human interference. For example, Progressive, one of the oldest insurance players had initially unveiled its mobile app to help users only to obtain a quote. However, data generated by Google Analytics revealed that people were keener on purchasing insurance directly from the mobile app; thus, Progressive added in-app purchase option to its app to cater to the needs of its customers. Machine learning technology can help organizations attain a higher level of efficiency by helping them concentrate on things that truly matter. Machine learning technology is a great way to keep your customers engaged and that is why more and more organizations are counting on this technology at present. Machine learning makes predictions based on the available data to understand customer behaviour so that you can take appropriate measures to satisfy your customers. Moreover, it also helps identify and prioritize issues so as to solve the issues automatically as fast as possible. Data is insignificant unless it improves your business performance. By transforming data into insights, organizations can drive marketing performance besides differentiating themselves from their competitors. Thus, top practitioners emphasize on arranging, sharing, and gleaning key insights to derive real value from data. You too can generate value from data by transforming data into action in a prompt and repeatable way. In order to generate outstanding results, businesses need to speak the language of ‘big data’ throughout the entire organization. Data specialists or analytics officers of an organization should collaborate with workers at every level to motivate them to connect with the required data. By identifying goals and setting Key Performance Indicators that helps drive growth, analytics officers can find out how data analysis can help them accomplish their goals. The data can then be used for determining how to touch base with the target audience at the right time with the right creative. At the present time, the power of data is intensely transforming the business landscape worldwide. Thus, executives of every big and small company should emphasize on targeted efforts to creatively source data that addresses specific business problems. At the same time, it should be kept in mind that involvement of senior management is equally important as it is the key factor that assists in selling the value of analytics throughout an organization.